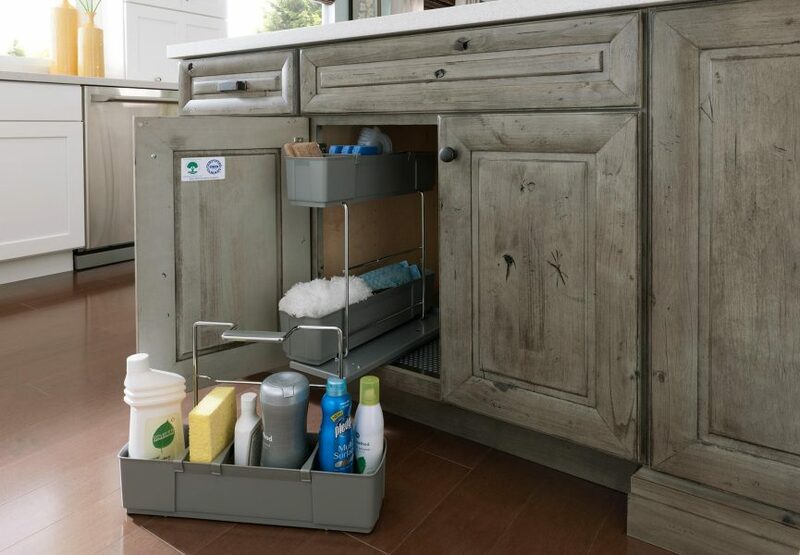 Organize clutter under the sink. Available for adult height and standard vanity sink bases in 21″ to 27″ depths. Includes chrome baskets with acid resistant plastic trays.